Every gal worth her salt (or sugar) has one go to dish that she can cook. 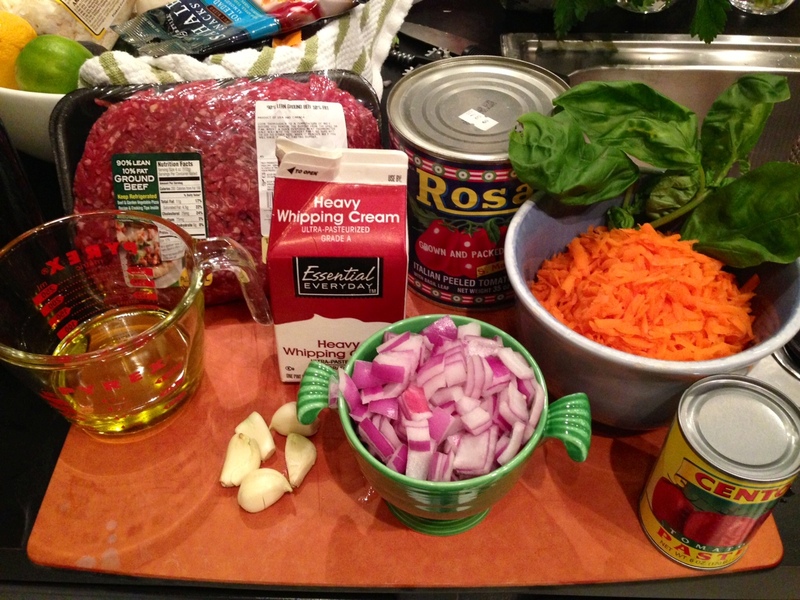 For me, one of the easy recipes in my arsenal (so easy I don't really even look at it anymore) is basic Bolognese pasta sauce. I mean, you really can't screw it up. But, I'm doing this paleo challenge this month and that means several of the ingredients I use (based on this Pioneer Woman recipe) are banned. I decided to modify it and see if the taste came close so I excluded the Parmesan cheese, wine and Worcestershire sauce (who knew, but it contains molasses and sugar) and subbed the one cup of milk with a half cup of heavy cream. And I most definitely can't eat it over pasta. It's not as perfect as the original version, but it's pretty damn good. Use your favorite spices to add as much kick as you like. I used fresh basil and oregano, but dried ground spices are fine too. 1) Heat oil in large Dutch oven or pot on medium. Add carrots and onions and cook 3-4 minutes. 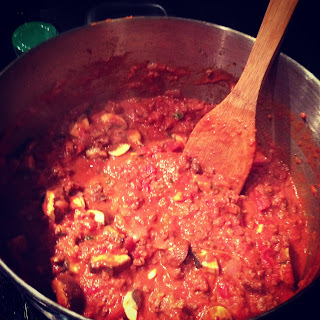 2) Make a well in the center and add the ground beef. Cook until it turns brown. Gradually mix in with carrots and onions. 3) Add basil and oregano. Stir. Cook a few minutes. 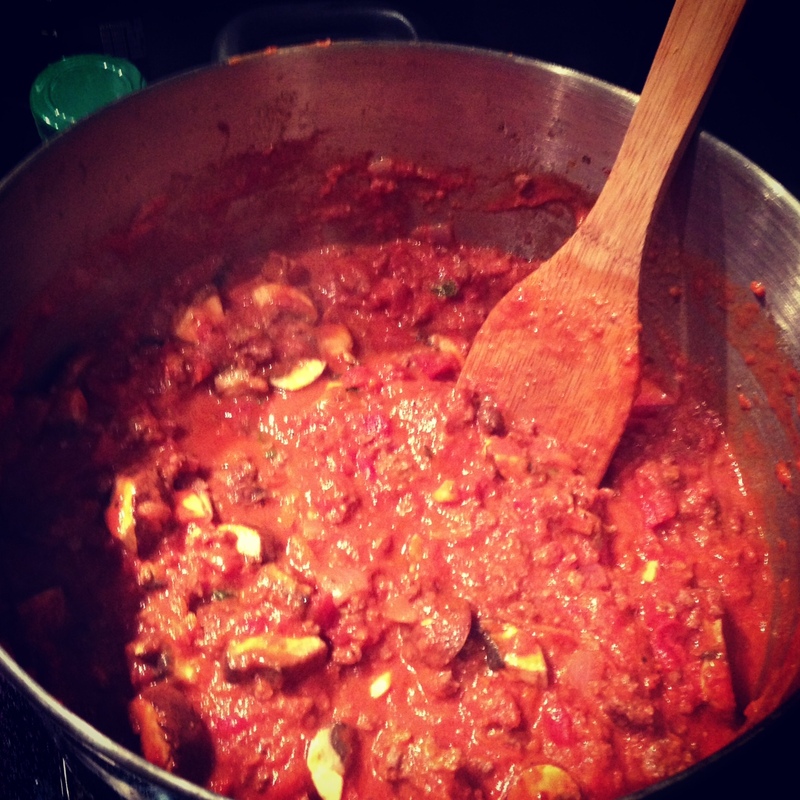 4) Make a well in the center and add the tomato paste. Let cook a minute or two. 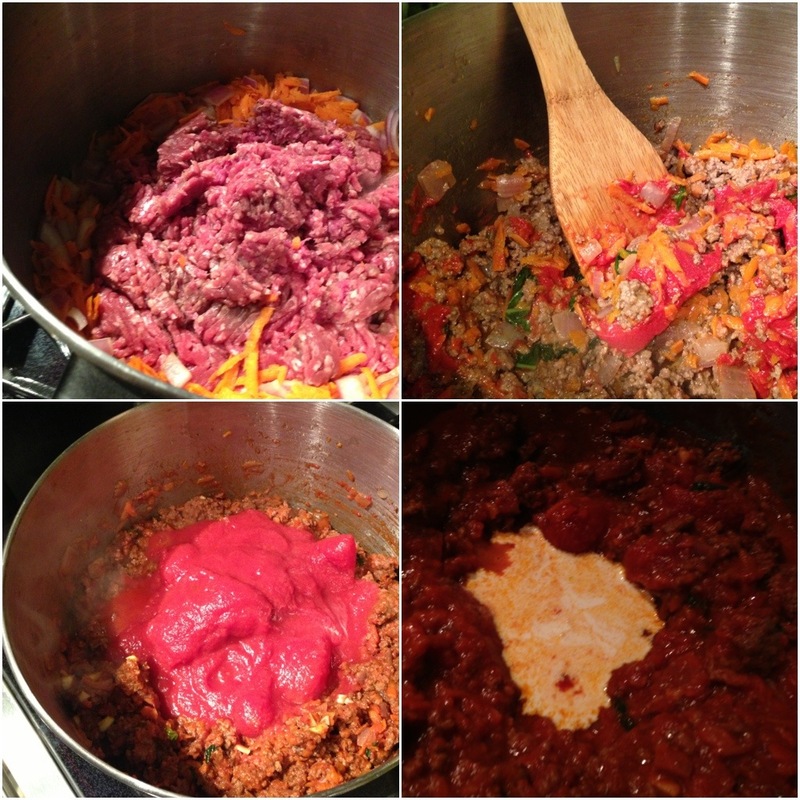 Gradually mix with ground beef. 5) Add garlic and mushrooms, combine. 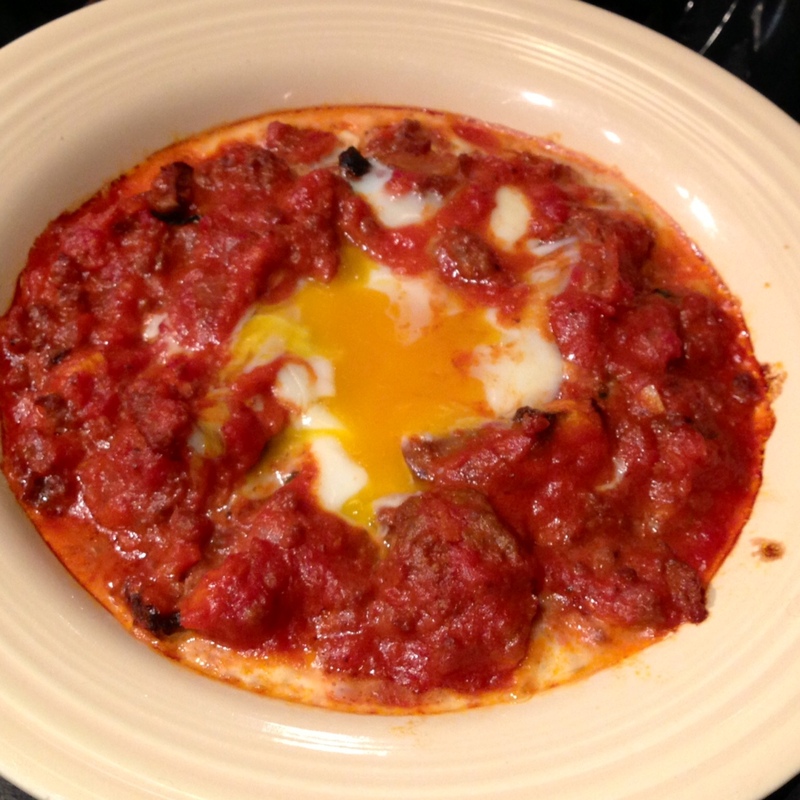 6) Make a well in the center and add the peeled tomatoes. Let cook a minute or two. Gradually mix together all ingredients. 7) Make a well in the center and add the heavy cream. Combine. PRO TIP: Save this sauce in smaller containers and Ziplocs to use with combinations including: topping for spaghetti squash, put a fried egg on top, atop or aside roasted veggies... how would you use it? Leave me suggestions in the comments! I chose to top mine with an egg (I get mine from the Waterview Farms egg guy at Dupont Circle Farmers Market on Sundays) and then bake it at 300 degrees until the yolk started to cook. You could thinly slice zucchini ribbons and use that as "pasta" :) Bet that would be great! Rockstar in the kitchen. Rockstar blogger. Bon appetit!